Acorn-fed 100% Ibérico Ham par excellence, in original format and brought to you directly from our centuries-old curing cellars. Acorn-fed 100% ibérico ham par excellence, in original format and brought to you directly from our centuries-old curing cellars. Every ham is unique and lives up to the highest expectations of flavour, texture and aroma to seduce each of your senses from the very first bite. 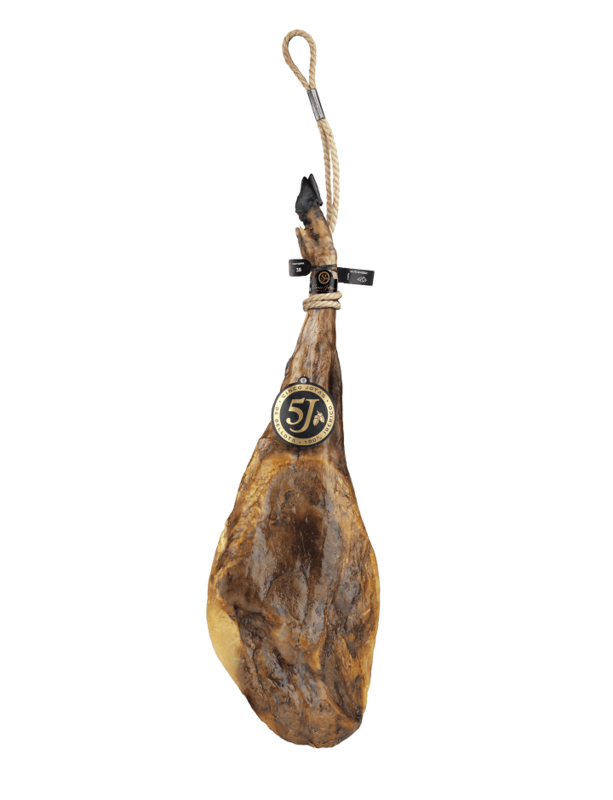 An authentic Cinco Jotas ham, well carved, is like a work of sculpted art, and astonishes ham lovers everywhere with the unique nuances of the most exclusive ham in the world.